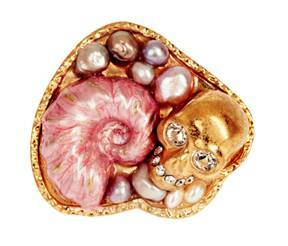 Fish-printed fabrics and shell-shaped accessories inject some sea life in to the worlds of fashion and interior design. Designers are taking things 20,000 leagues under this season, for the sea references ran rampant. 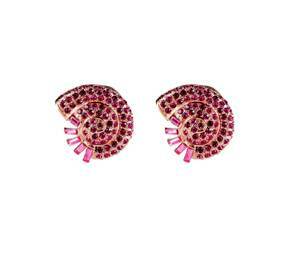 From resin seashell clutches from Chanel to fine jewelry modeled after starfish, conchs and covered in mermaid scales, the fashion world has gone waterproof. 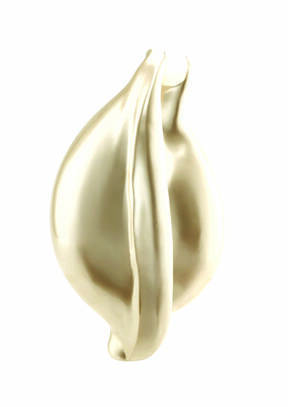 But this slippery trend has dripped over to the other side as well, making home décor equally aquatic. 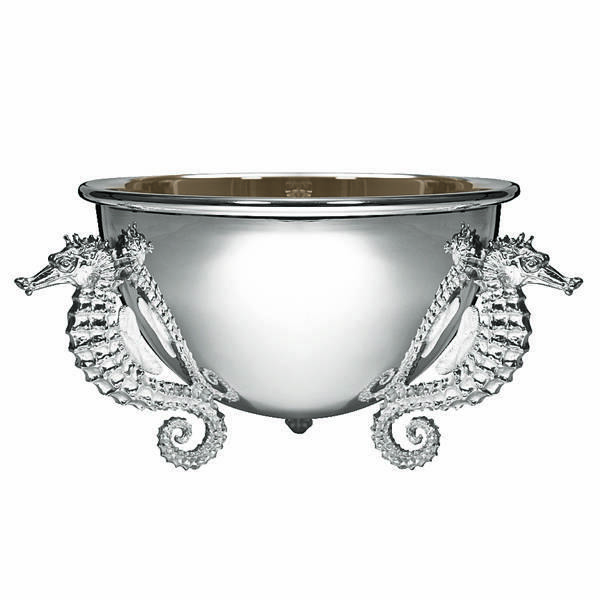 From a Colombostile side table perfectly suited for a beach home to Asprey’s caviar bowl and serving set adorned with seahorse handles. 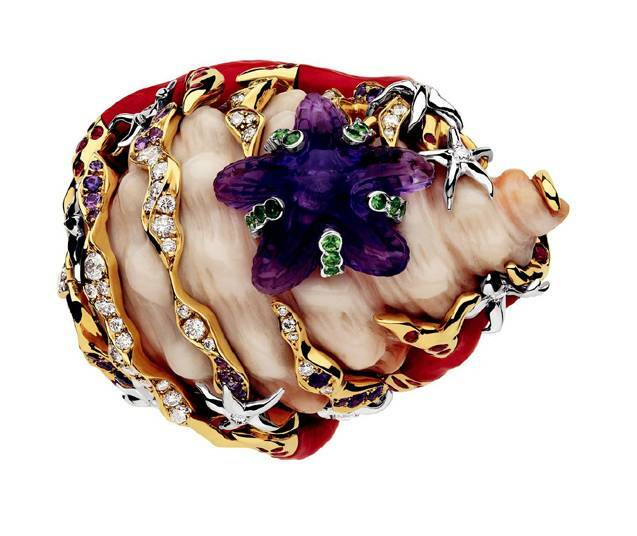 Coffret de Victoire ring in pink and white gold, with coral amethyst, orange and purple sapphires and tsavorite garnets, by Dior fine jewelry. 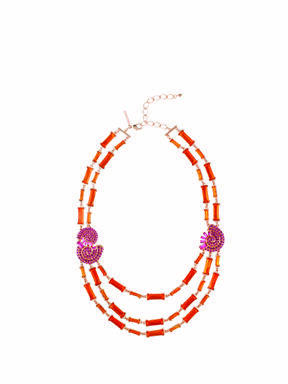 Shell motif earrings and necklace from the S/S 2012 collection by Oscar de la Renta. 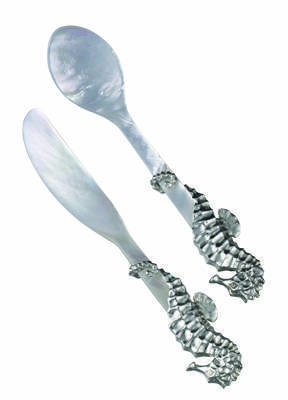 Seahorse caviar spreader, spoon and bowl by Asprey. 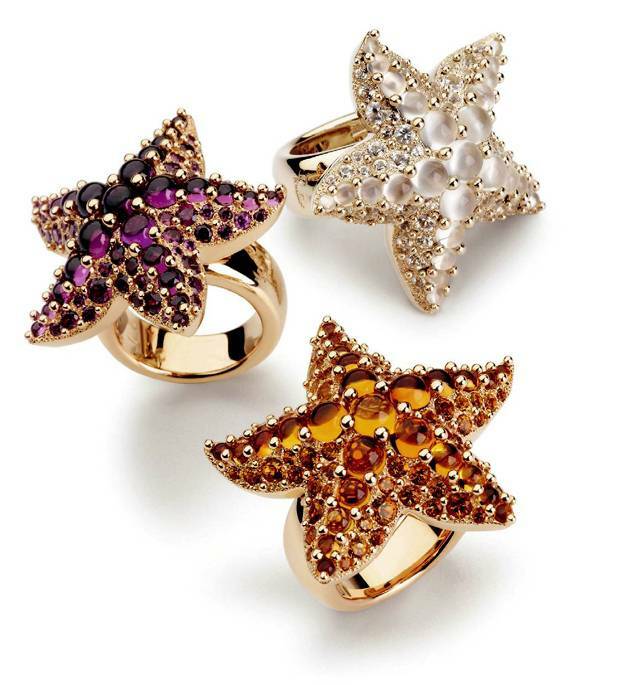 A selection of starfish rings from the Sirene collection by Pomellato. 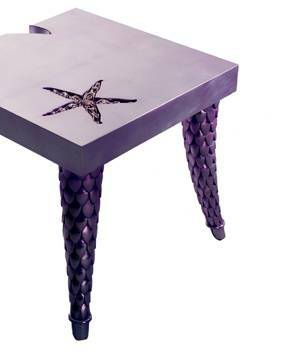 Starlight side table with hand-carved scales on all legs, finished with custom tinted silver leaf and silver bathed bronze starfish; designed by Jean Antoine Desvilles for Colombostile. 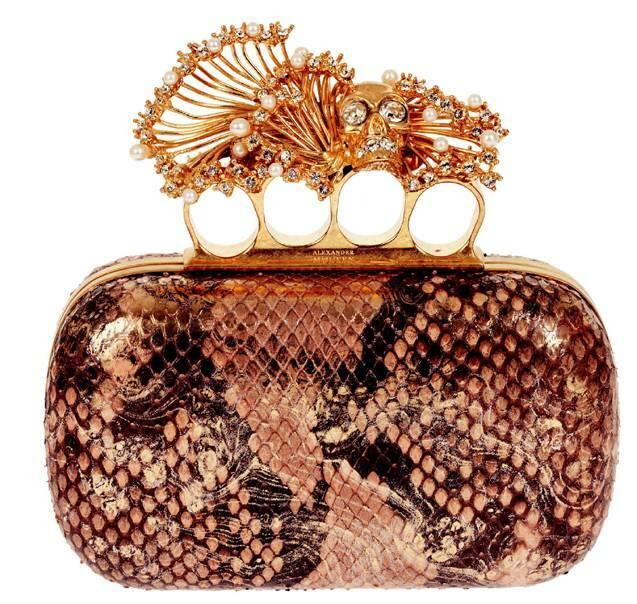 clutch from the Chanel S/S 2012 runway presentation. A shot from the S/S 2012 runway collection by Mary Katrantzou. 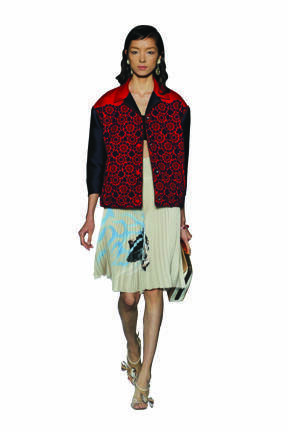 A shot from the S/S 2012 runway collection by Prada. 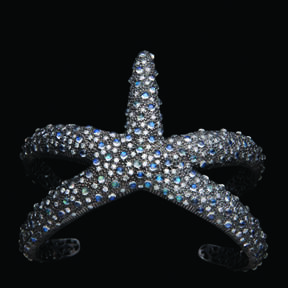 Moonstone starfish bracelet in sterling silver with diamonds and moonstones by Loren Jewels.